Barely a week has gone by since Election Day and it’s already politics as usual in Springfield. A meeting scheduled for Monday between Gov. Bruce Rauner and Illinois General Assembly leadership was nixed after House Speaker Michael Madigan canceled on Sunday due to what he called a scheduling conflict. Soon after Madigan’s rain check, Illinois Senate President John Cullerton, also a Democrat, pulled out of the meeting. The proposed powwow would’ve fallen on the eve of the general assembly’s Tuesday veto session. Rauner vetoed or used his amendatory veto powers on 36 bills. Which of those 36 will be discussed – and which the Illinois House and Senate will try to override – remains uncertain. Last week, Rauner said he hopes to strike up a permanent state budget deal before a new general assembly session begins in January. The state’s current stopgap budget, a temporary fix, expires at the end of December. 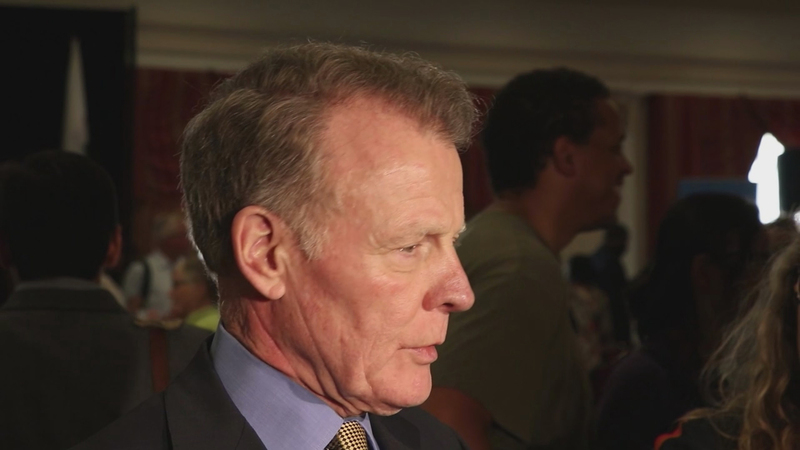 Time will tell whether Madigan agrees with melting the icy relationship between Rauner and Democratic state leadership or continuing the current partisan gridlock. One might surmise Madigan’s cancellation is a sign of the latter. Chicago Tonight’s Amanda Vinicky joins us to discuss the meeting that never happened and what to expect from the upcoming veto session. Nov. 9: Despite massive amounts of campaign contributions that poured into state House and Senate races this year, Republicans don’t appear to have significantly shifted the balance of power in the Illinois General Assembly. Nov. 9: Two Illinois Democrats on their way to Washington tell us how they plan to work with a Trump administration. Nov. 11: The governor and his wife paid $43.3 million in federal income taxes and $6.9 million in state income taxes, according to documents released from his office Friday.